More than 30 charitable groups across Cumbria have received £248,000 to address a range of issues including mental health, disabilities and improving health and wellbeing. 40 people have also received a share of more than £25,000 towards training fees, sporting activities and victim support. The money came from 30 grant making funds, administered by Cumbria Community Foundation, including those set up by Castle Green Hotel, Cumbria Victims Charitable Trust, English Lakes Hotels, Thomas Graham & Sons and Westmorland Ltd.
People First Independent Advocacy received nearly £6,000 from the Brian & Ann Clark Fund to purchase equipment for its ‘Hospitality Academy Garden’, a vital component to the Carlisle conference centre. It offers people with learning difficulties the chance to care for the garden, which forms a key part of their Open Awards Qualification, develop work skills and move towards paid employment. Young carers across South Lakeland will be better supported after receiving £15,000 over three years. South Lakeland Carers, based in Kendal, will use the money to expand its one-to-one support service. 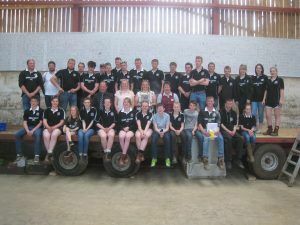 Cumbria Federation of Young Farmers’ Clubs received £10,000 from the Cumbria Fund to raise awareness of the dangers of drug and alcohol abuse. Working alongside not-for-profit group, The Well Communities, sessions have been designed specifically for young farmers to address the mental, emotional, physical and legal consequences of abusing drugs and alcohol, how to deal with peer pressure and where to get help. 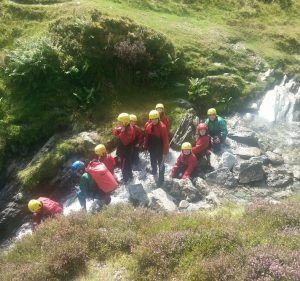 The Lend A Hand scheme, run by Northern Fells Rural Community Development Group received more than £28,000 from the Cumbria Fund over the next three years. The service provides a life line for many elderly and disabled residents across Allerdale and Eden who require either handyman or personal/domestic support in their homes. 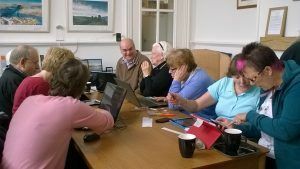 The closing date for Cumbria Community Foundation’s next grants panel is 10th May 2019. For more information, visit www.cumbriafoundation.org or call a member of the grants team on 01900 825760.